Without sponsors, we wouldn't be who we are today, THANK YOU! 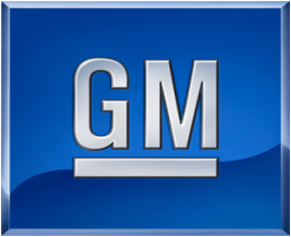 GM's mission is to Design, Build, and Sell the World's Best Cars and Trucks. GM is a Founding Sponsor of FIRST and proud supporter of CougarTech 2228 and their role in developing the future engineers, scientists, and leaders who will help fulfill our mission in the future. One thing successful businesses do to navigate through this unpredictability is make sure the technology, software and work processes that form the backbone of their organizations are operating as effectively and efficiently as possible. No one understands this better than Xerox. We are the world's leading enterprise for business process and document management. Our technologies, expertise and services enable your business to operate more efficiently and effectively, whatever the situation. Google's mission is to organize the world’s information and make it universally accessible and useful to everyone. They are committed to significantly improving the lives of as many people as possible. The people of Southco are passionate about connecting with our customers to create innovative engineered access hardware solutions aimed at enhancing the "touch points" of our customers' products. Our talented, committed and globally-connected team of associates collaborate with our clients, and with each other, to understand and respond to our customers' needs. Together, we seek to leverage our global resources and deliver customers proven solutions, while reducing the overall cost and cycle time of the project. Southco has built an unmatched portfolio of access hardware solutions, through innovation and strategic acquisitions. Our offerings include over 25,000 standard catalog products and more than 50,000 custom products that have been created to meet our customers' design needs. In order to meet the ever-changing needs of our customers, Southco has built and invested in a strong global footprint of technical sales, marketing, engineering and manufacturing operations throughout the world. Han-Tek works closely with the industry’s leading suppliers to specify the right components and machine controls and then integrate them with your manufacturing or handling systems. Whether it’s a single off-the-shelf component or a brand new, factory-wide automation system, Han-Tek engineers stand ready to solve your simplest or most complex materials handling challenges. And help you get a faster return on your investment. Delphi Technologies is a leading global automotive emissions, fuel economy and aftermarket solutions provider. Advanced internal combustion. Next-gen vehicle electrification. Optimized electronic controls. Fully integrated aftermarket solutions. They have combined all this into a single enterprise ready to create tomorrow, today with a focused purpose: To be the company that enables their customers to thrive. Pittsford Federal Credit Union is a not-for-profit financial cooperative offering a full array of personal financial services including savings and checking accounts, auto and mortgage loans, credit and debit cards, and online services such as bill-pay and mobile banking. Anyone can join Pittsford FCU who lives, works, worships, volunteers, or attends school in the town or village of Pittsford, Mendon, Honeoye Falls, Lima, Avon, Brighton, East Rochester, Henrietta, Perinton, Rush, East or West Bloomfield, or Victor-or who is an immediate relative or permanent household member of a current or eligible member. An iPhone logic board mail-in repair business grew as did our reputation as the ‘go to’ place for motherboard repair in the global independent repair community. Since 2012, we have repaired over 10,000 iPhone and iPad logic boards. We have rescued hundreds of thousands of precious memories from dead and water damaged mobile devices of all types. Our secret is the thousands of hours spent staring down microscopes developing an enormous experience base for pattern recognition of logic board faults. McDougall Communications partners with organizations worldwide to solve business challenges through strategic communications, restoring, protecting and enhancing brands and reputations. Inside and out. This little shop in Honeoye Falls is a great place to get ice cream during the sweltering mouths of summer. A third generation, family owned and operated, pet care resort and day care facility, servings the greater Rochester area. Throughout the years, their priority has always been the care of your family pet. They strive to care for all their guests, just the same way you do – with love and compassion. They welcome you to Add En On Pet Resort, and would love the opportunity to earn your trust in them. They take pride in the care of all our guests, getting to know them, finding what they like and doing things just as you would. Ruck's provides us with delicious food during build season to help us stay fueled and ready to go. Check them out if you're ever in Honeoye Falls or Lima. Rochester Community Robotics (RCR) is a non-profit organization founded in 2008 with the goal of exposing interested students to engineering and related technology careers through robotics programs. With the help of major corporations, RCR has helped hundreds of Rochester students to prepare for robotics events and competitions through fund-raising, financial advising and supporting overall team growth.